These are familiar words from SVP conference participants who gather each year to be inspired, challenged and engaged with those who share their passion for positive change. And with 3200 partners in 40 cities and 9 countries, SVP’s network is bigger than ever. Join us for three days packed with stellar speakers, engaging workshops and tons of open time for swapping ideas and stories with changemakers from around the globe. Andy Goodman is a nationally-recognized author, speaker and consultant in the field of public interest communications. Highly regarded for his storytelling expertise and top-notch workshops and presentations, Andy has worked with thousands of organizations from the American Heart Association to The Nature Conservancy to the Ford Foundation. Transformative Action Institute founder, Scott Sherman is an expert on the most effective ways for people to change the world – whether working for public health, the environment or economic prosperity. He is currently writing the book How We Win: The Science of Making the World a Better Place, and will share some of his research at the conference. Whether you want to transform your personal philanthropy, strengthen your SVP affiliate, or learn how to create lasting change in your community – this conference will deliver. Emerging Practices in the Social Sector: Discover and learn from SVP colleagues and allies who are shaking up their approach to create lasting social change all around the world. Equity: As philanthropists, we have an important role to play in ensuring ALL people have the opportunity to succeed and this track will help you gain the skills and allies needed for that journey. Impact Investing: Explore new ways to invest your dollars that yield social and financial returns. Whether you are an impact investing veteran or new to the whole topic there will be a session for you! 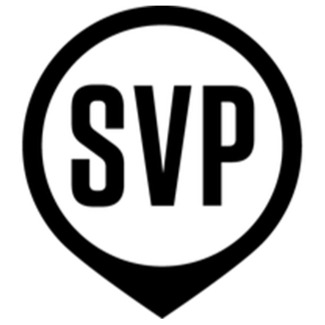 SVP as Its Own Investee: SVP takes great pride in strengthening nonprofits so they can deliver on their missions more effectively. This track will bring some of that magic to our own organizations so we can better serve our communities. The people. That’s why many of our conference participants come year after year. From great views to tasty food, there are plenty of ways to connect! Brews & Games Opening Reception: On Thursday night we will kick off the conference at Arts District Brewing – grab a beer, chat with awesome people, and showcase your mad Skee-Ball skills! Dine-Arounds: Eat like a local! Choose from a variety of restaurants handpicked by SVP LA Partners and enjoy a night on the town with your global SVP community. In-Between Time: We know the best conversations sometimes happen betweenscheduled events – in the halls, over coffee – so we’ll provide ample time between workshops to mingle!